Large scale watercolour painting for Chinese New Year. This is one of my all-time favourite commissions. 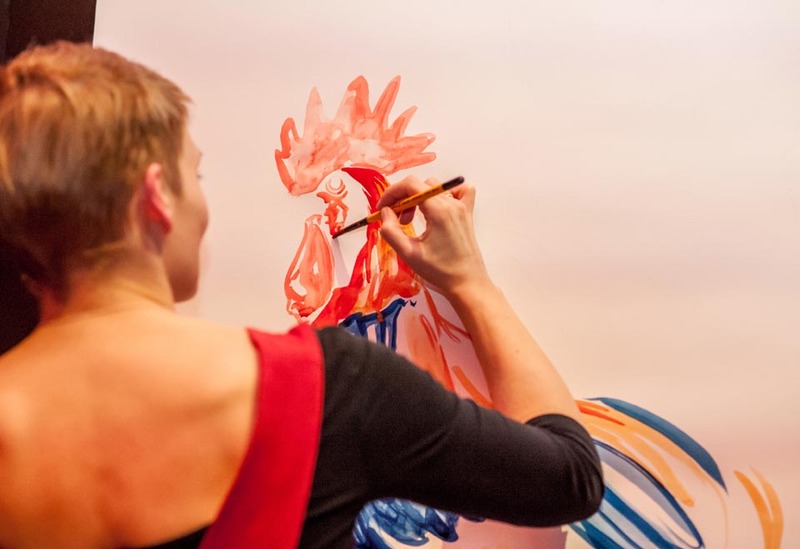 At Chinese New Year, I was invited to paint a large-scale watercolour rooster live at a CNY party. The rooster was 1.5 meters tall, and was painted onto non-stretched watercolour paper. The painting formed the back-drop for the event, and was a great talking-point for the guests. Then afterwards, one of the guests even bought the artwork. I'm so honoured to have my artwork appreciated so much. I LOVED doing this, and it's really whet my appetite to do more large scale work. A big thanks to Benjamin Wetherall for these great photographs.